WSO2 App Factory has been moved to maintenance mode. Hence there will be no further development or evolution of the product. We will continue to support existing customers using this product. For more details contact us. Responsive IT: Create an internal cloud for supporting managed innovation inside the enterprise with IT as a Service. An Ecosystem PaaS: Enables the enterprise to offer a managed environment for third parties to innovate around the organization. 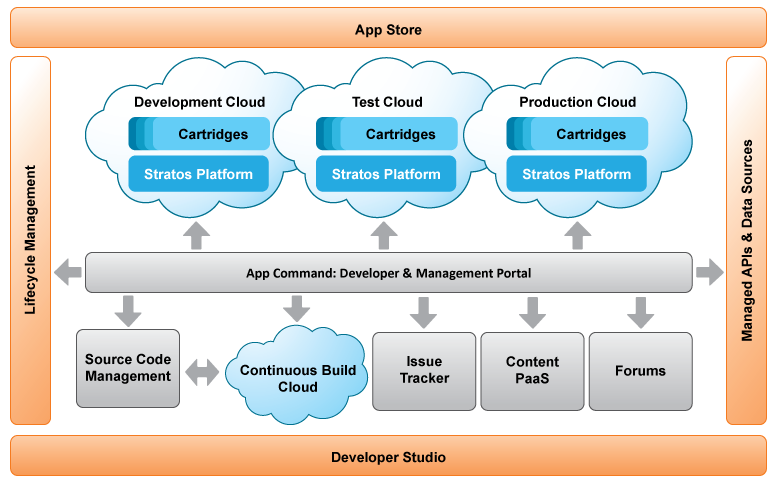 Securely share, manage and monitor APIs used by external apps. Incorporates full lifecycle tooling, workflow, and reports for developers, quality assurance members, and operations engineers. 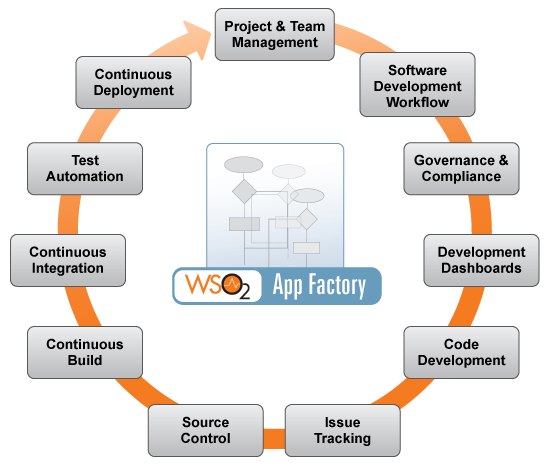 What is WSO2 App Factory?